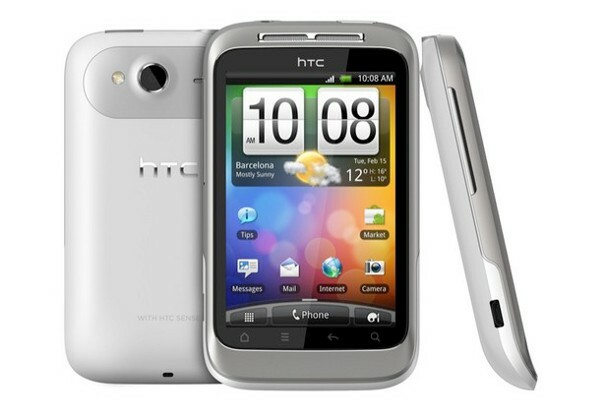 HTC is one of the largest and most popular manufacturers of Android based smartphones. You recently read our review of the Sensation and Flyer, two very high quality products aimed at the upper end of the market segment. However in the midst of all these glittery smartphones, it’s easy to forget that there’s also a market for the lower end. People who do not want to spend 700$ on a smartphone, and want an affordable smartphone experience in a pocketable form factor. This is where the Wildfire S comes in, the successor to the popular Wildfire. Much like the Desire S did over the Desire, the Wildfire S also replaces the original with slightly bumped up specs and a more attractive looking chassis. The phone comes in a regular, very Applish looking white box. 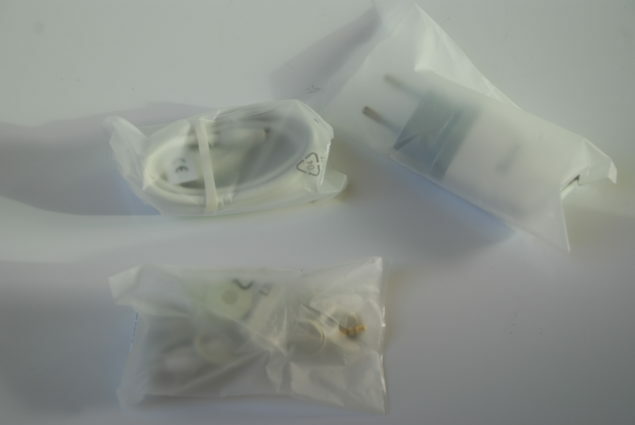 Inside you will find the bare essentials; a data cable, charger, hands free, booklets and the phone itself. On the side are the volume rocker keys. Coming from the flyer, I found these keys of a much higher quality. They are not as flushed, and easily distinguishable from the rest of the chassis. Same goes for the power key on top. It had a nice ‘clicky’ feel to it. 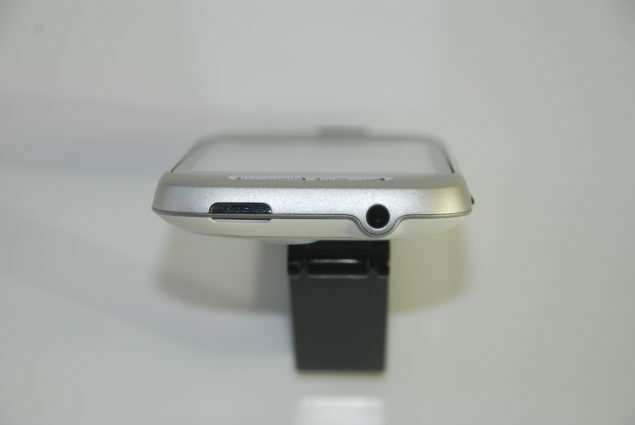 A questionable design choice was to move the micro USB charger from the bottom or top to the left of the phone. In fact it wasn’t questionable, it’s downright ridiculous. You can forget about using the phone when it’s charging because there’s no way to hold it with a cable sticking out from the side. The back of the phone has a matte plastic feel to it. I’m a huge fan of such surfaces. They don’t get scratched easily and usually are finger print prone. Under the cover you’ll find a 1230 mAh battery which is good enough for a day’s worth of moderate usage. You’ll also find the camera and speaker grills. The speakers left a lot to be desired honestly. The sound was loud, but very harsh. Overall I was extremely impressed by the built quality of the phone. 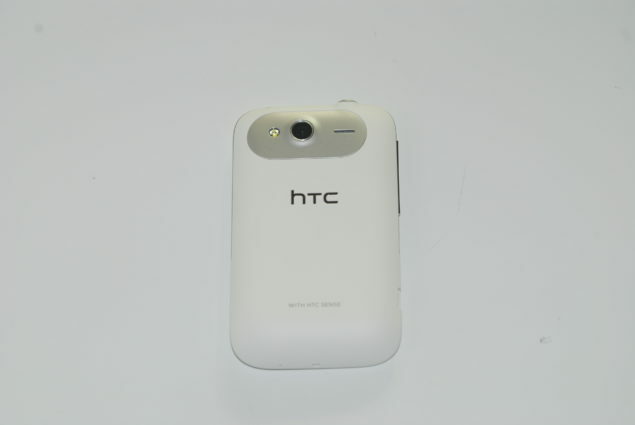 It’s aimed at the lower end of the market but that did not stop HTC from making a solid looking phone. There were no creaks or cracks even under pressure. The phone fit beautifully in the hands. In fact I can even go as far as saying it felt more solid than my Nexus S or the original Desire. It also weighs just 105g so it wont be weighing you down either. That being said I don’t understand the reason to use the charging port on the side. It ruins an otherwise great looking phone. The display used in the Wildfire S is slightly better than the one used in the Wildfire. The resolution has gotten a bump from the miserable 240×320 to 320×480. QVGA was hopeless on the Wildfire and unfortunately it isn’t a whole lot better on the Wildfire S. It looks very pixilated. Reading small fonts is a no go and small icons look like they’re made out of 1 or 2 pixels in total (eg the gtalk icon on the notification bar). That being said, it is a very important change in screen resolution because many applications and games in the Android Market are incompatible with QVGA resolution; this was the main downfall of the original Wildfire. The colors and contrast are commendable and on par with a device of this price range. Viewing angels are mediocre and sunlight legibility isn’t exactly top notch. Let’s just say I’ve seen much better displays in phones of this size. 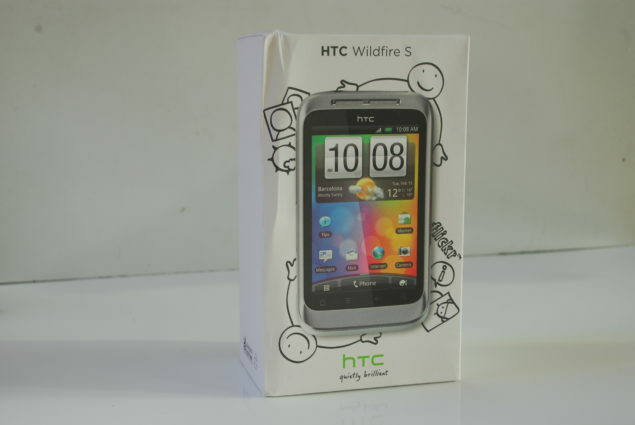 Breaking from their norm, HTC ships the Wildfire with the latest version of Android (2.3.3). The phone boots rather quickly from a cold start. Inside you will find the usual HTC fare. The software is topped with HTC’s now all too familiar Sense UI. It’s the exact same one used in the Desire HD and Incredible S with minor enhancements. For starters the notification drop down menu offers more than just notifications. You get a view of the most recently launched apps. You can also toggle wifi/Bluetooth/gps etc off much like it is in the Sensation and Flyer. There are a total of 7 home screens available. You can’t change that number, but you do have the option to change the positions of these screens much like in the Sensation and Flyer. The phone comes preloaded with an array of widgets and wallpapers from HTC which adds a nice personal touch. The Sense launcher also offers minor customization. The only one included in the phone was the Slate theme. The rest of the UI is pretty much exactly like all other devices running Sense 2.1. If you’ve seen one you’ve seen them all. One peculiar behavior I noticed was when using the default keyboard; when typing fast the keyboard failed to detect individual taps. For example if I press A and B in quick succession, the phone will only recognize B. And by quick succession I mean my normal typing speed, which isn’t really all that fast to begin with. I don’t know if it’s the screen’s failure to detect quick taps or just the software end. I do hope it is the software and it’s rectified soon because I found it incredibly frustrating typing on it. I had to reduce my typing speed to half to ensure all taps registered quickly. Apart from these annoying niggles the overall UI was quite responsive and smooth. Granted there were a few stutters and lag here and there, but that is to be expected from a phone that aims to be the cheapest on HTC’s portfolio. The Wildfire S comes powered by a 600Mhz CPU which is a bit faster than the one in Wildfire. GPU tasks are handled by Adreno 200 which is the same chipset used in the original Desire, and for multi-tasking approximately 450MB of RAM is available. 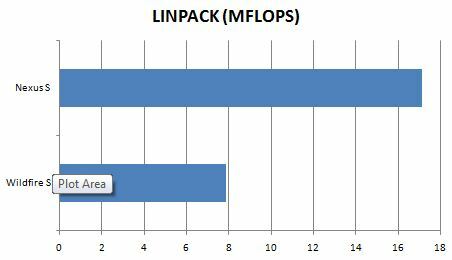 These numbers are not earth shattering exactly and the device never aims to be a benchmark setter. However that won’t stop us from pitting it against some of the big boys, you know, just for fun. 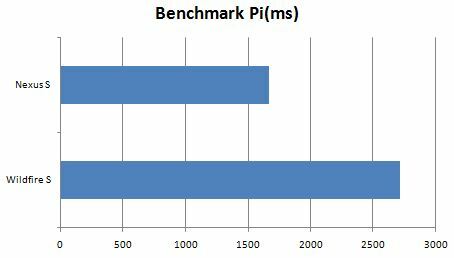 While I agree these are just about the lowest benchmark scores I’ve seen(Quadrant score was 640), in reality it’s not entirely representative of the phone’s real world performance. The software is responsive and fluid enough for normal usage. Only when full of applications will you start to notice stutters here and there. Speaking of applications, there is only 130MB of internal space allocated for them which is half of the absolute minimum that should have been there in my opinion. Opera browser alone takes 25MB of space so you’ll eventually find yourself running out of space quickly. While the hardware isn’t exactly top notch as we just saw, the Wildfire S can play games rather well. Granted the more sophisticated games will find a tough time running, but hey, at least Angry Birds worked, which I suppose would be good enough for most people who will end up buying this phone. HTC has done really well keeping the size of this phone even smaller than the original Wildfire which it replaces. It’s a nifty looking phone and for a phone this small it fits beautifully in the hands. I cannot stress this enough, the dimensions are perfect for a small phone. It’s not exactly a powerhouse of a smartphone but it doesn’t try to be one either. To the audience it’s aimed at, it works just fine. What will determine the success of this phone is its price point. 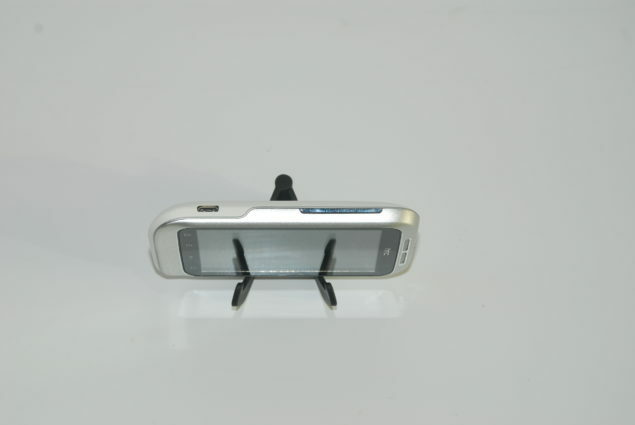 Currently at the same price you can find the Samsung Gio or the Galaxy mini. But the Wildfire S looks better and has the coveted Sense UI and these two factors weigh heavily in the favor of this phone. If HTC can iron out the few bugs in the software, the Wildfire S can end up being the go to smartphone for beginners.